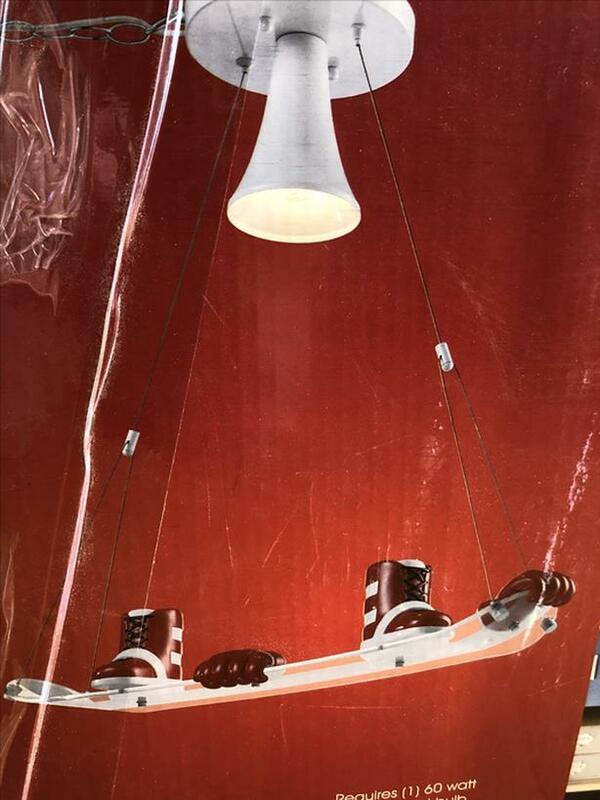 Very cool Skateboard Light, new used, still in the box, box has seen better times but content all there, perfect for a young Snowboard fanatic kids room. Dimensions approx. 26" long.